目的 检测C57BL/6 小鼠无创性肺功能指标,为小鼠实验性研究肺功能的监测提供依据?方法 采用整体体积描记法(whole body plethysmography,WBP)检测460 只C57BL/6 小鼠肺功能的各项指标,对检测结果进行统计分析,百分位数法确定参考值范围?结果 小鼠吸气时间(Ti)64. 7(55. 30 ~ 82. 60)ms,呼气时间(Te) 83. 4(71. 70 ~109. 20)ms,呼气峰值时间比率(Rpef)0. 21(0. 16 ~ 0. 28),吸气末端暂停(EIP)2. 19(1. 96 ~ 3. 76) ms,呼气末暂停(EEP)1. 67(0. 12 ~9. 15)ms,潮气量(TVb)0. 44(0. 25 ~0. 58)mL,气道狭窄指数(Penh)1. 29(0. 91~2. 00),呼吸暂停(PAU)1. 18(1. 00 ~ 1. 64),呼气中期流速(EF50)0. 64(0. 30 ~ 0. 98)mL/ s,松弛时间(Tr)39. 0 (32. 40 ~51. 50)ms,最大吸气流速(PIF)9. 74(5. 33 ~12. 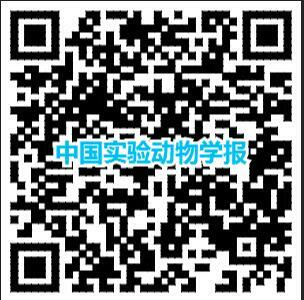 83)mL/ s,最大呼气流速(PEF)9. 86(5. 12 ~ 13. 47)mL/ s,呼吸频率(f)412(331 ~474)BPM,每分钟通气量(MVb)174. 4(86. 69 ~235. 04)mL?结论 C57BL/6 小鼠无创肺功能指标参考值范围的测定,可为呼吸系统疾病的基础研究提供实验性参考依据? Objective To provide a reference for studies of monitoring lung function in mice, this study was aimed to test the indexes of a non?invasive measurement of lung function in mice. Methods Lung function indexes of 460 C57BL/6 mice were detected by whole?body plethysmography. The results were analyzed, and the range of reference values was determined by the percentile method. Results Normal ranges for the following measures were found: inspiration time was 64. 7 (55. 30 -82. 60) ms, expiration time was 83. 4 (71. 70 -109. 20) ms, Rpef was 0. 21 (0. 16 -0. 28) ms, end?inspiratory pause was 2. 19 (1. 96 -3. 76) ms, end?expiratory pause was 1. 67 (0. 12 -9. 15) ms, tidal volume was 0. 44 (0. 25 -0. 58) mL, enhanced pause was 1. 29 (0. 91 -2. 00) ms, pause was 1. 18 (1. 00 -1. 64) ms, expiratory flow?50 was 0. 64 (0. 30 -0. 98) mL/ s, relaxation time was 39. 0 (32. 40 -51. 50) ms, peak inspiratory flow was 9. 74 (5. 33 -12. 83) mL/ s, peak expiratory flow was 9. 86 (5. 12 -13. 47) mL/ s, inspiratory frequency was 412 (331 - 474) BPM, and minute volume was 174. 4 (86. 69 -235. 04) mL. Conclusions The normal reference ranges from non?invasive lung monitoring in C57BL/6 mice can be used as a reference for basic research on respiratory diseases.